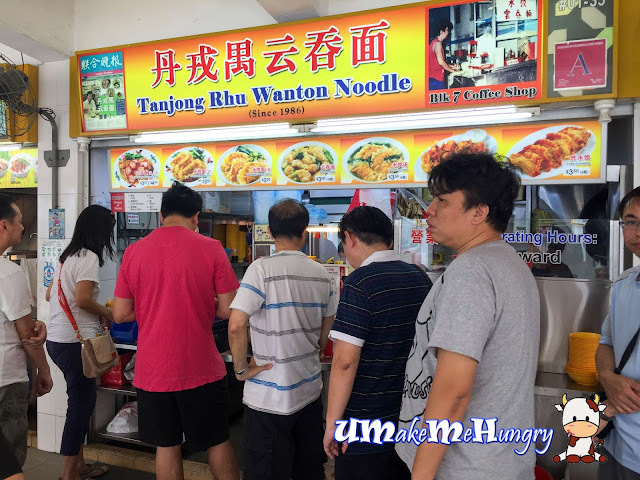 The 3rd Consective days we are having Wanton Noodle but this time round we went all the way into Jalan Batu Hawker and check out another highly raved stall. There are two stalls selling Wanton Mee and we decided to join the queues of the stall nearer to the carpark. Big and small versions differ in the amount of ingredients with the big bowl having more noodles, Char Siew and 1 more fried Wanton. Noodle was springy with lean Char Siew Meat, fried wantons, vegetables and also a bowl of wantons in soup. Personally, I would prefer their fried wantons to the ones in the soup. It was not too oily but it had gave a good crispy bite with a soft marinated tasty filling which complement the smoky fried flavours of its skin. Shrimp dumplings were already sold out during the time of visit, thus we had this additional bowl of 10 Wanton despite that our portion of Wanton Mee already come with a Wantons. 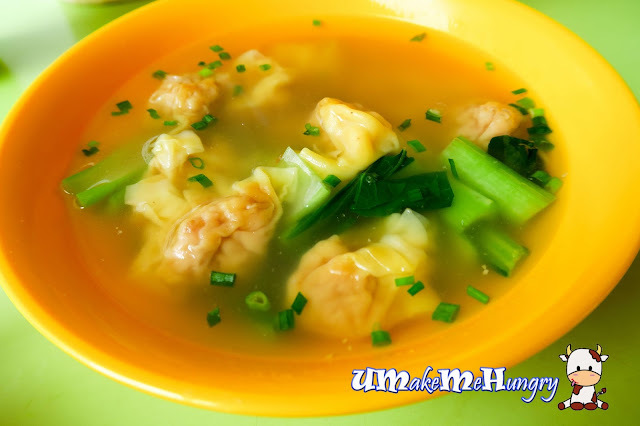 Wanton filling was generous with the wanton skin wrapping it well, forming a shape of the ball of minced meat. Taste was pretty usual, nothing out of the ordinary. Overall, I felt quite disappointed to travel all the way there to have a bowl of ordinary wanton Mee. Hmmm...Where do you think its worth a try?